I mentioned a few weeks ago that I had signed up for Beachbody and planned to do a 21-day fix in hopes of losing this excess baby weight. So when a friend contacted me about helping with a Goodcents campaign regarding their new Sensible Sandwiches, it couldn't have come at a better time! 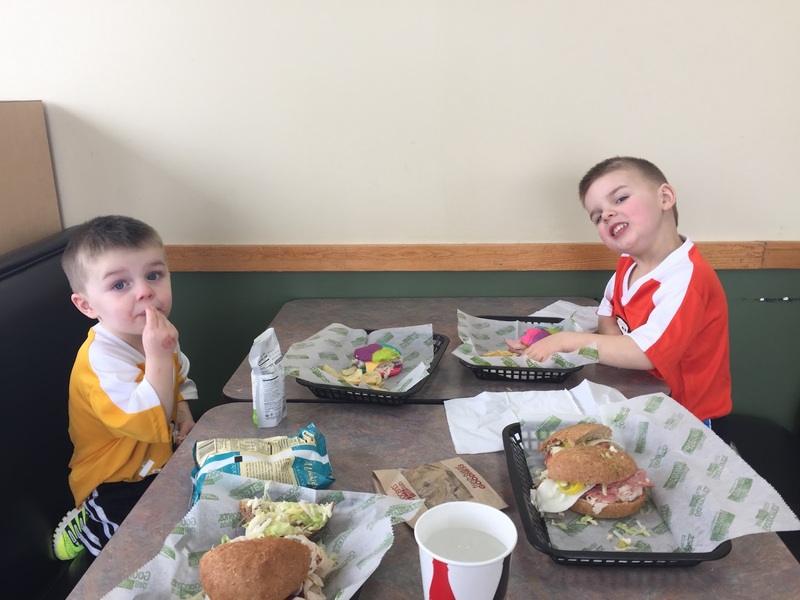 The boys have soccer every Saturday at 10:15, so we've made it a weekly habit to stop at Goodcents on the way home and grab lunch. 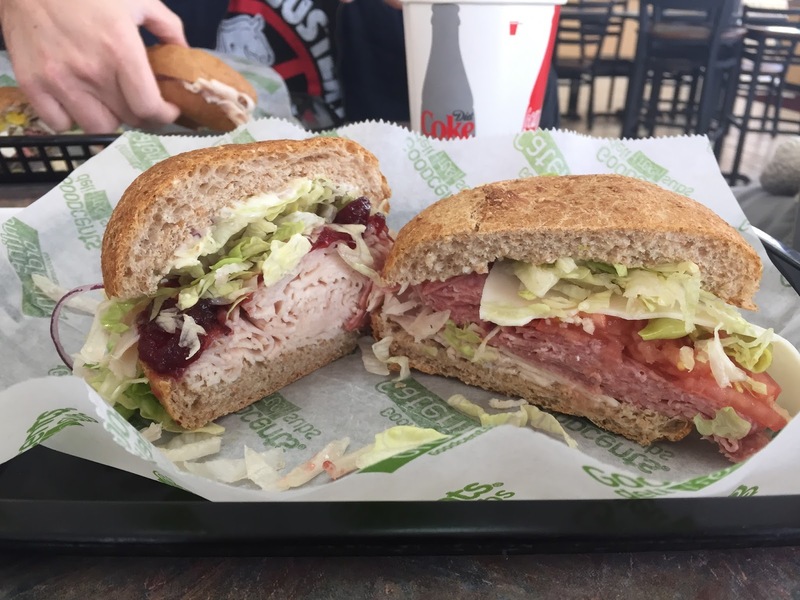 The Sensible Sub menu includes six sandwiches all under 500 calories. 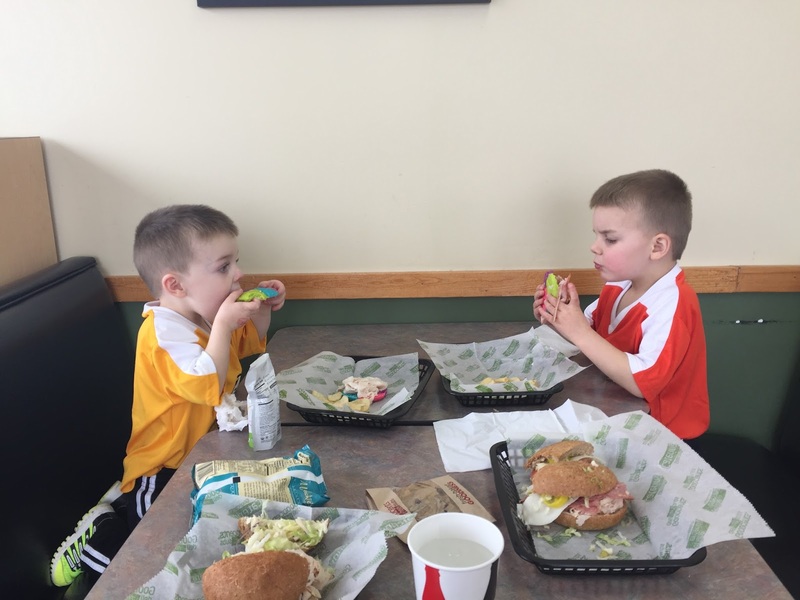 The sandwiches are served on a sprouted whole grain bun that is comprised of bran, flax, oats and barley. However, in true Goodcents fashion, they are baked fresh in-store every day. So far, I've had the chance to try the Skinny Italian Club, Turkey & Cranberry, and Spicy Ham; they have all been great, but the Turkey & Cranberry is by far my favorite! 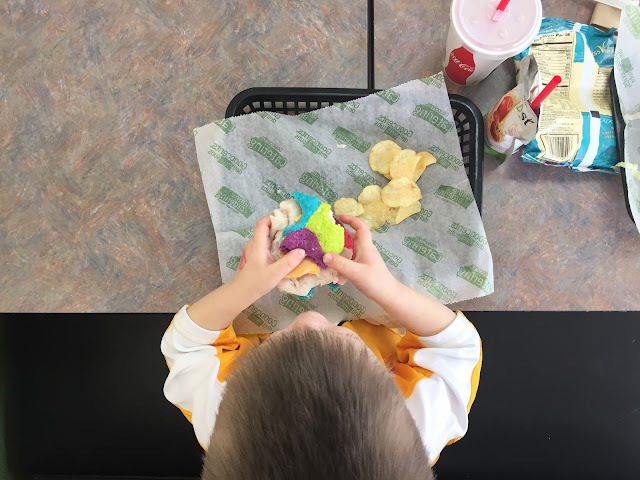 Goodcents also recently introduced rainbow bread for kids. 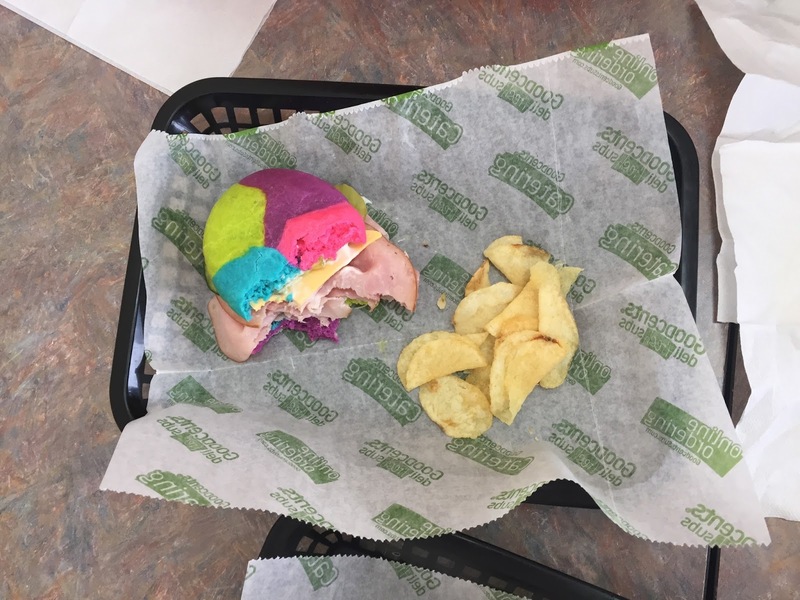 The rainbow bread features brightly-colored blue, green, purple and pink bread in a bun that tastes like its traditional white bread. As odd as it looks, the boys looooved it! In fact, I had to order two kids meals (they usually split one) and they nearly scarfed down their sandwiches before I had a chance to snap a photo! Non-chicken nuggets for the win! So if you're local, do yourself a favor and check out these two new offerings from Goodcents! 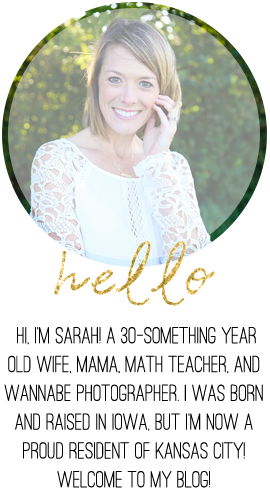 I promise you (and your kiddos) won't be disappointed! This post is sponsored by Goodcents but all opinions are my own! Since starting Weight Watchers I have even attempted to dine out other than Chick-fil-A and even then I went by the book on my order as to not waste points. 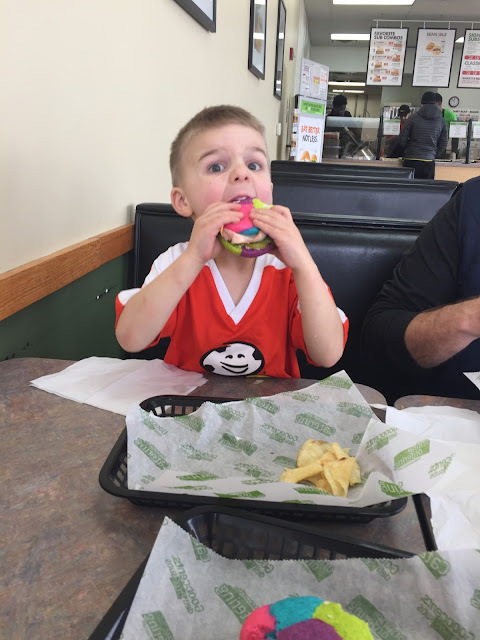 Dining out can be tricky but this seems to have taken the guess work out of it. These look so delicious. I will let my children try this. 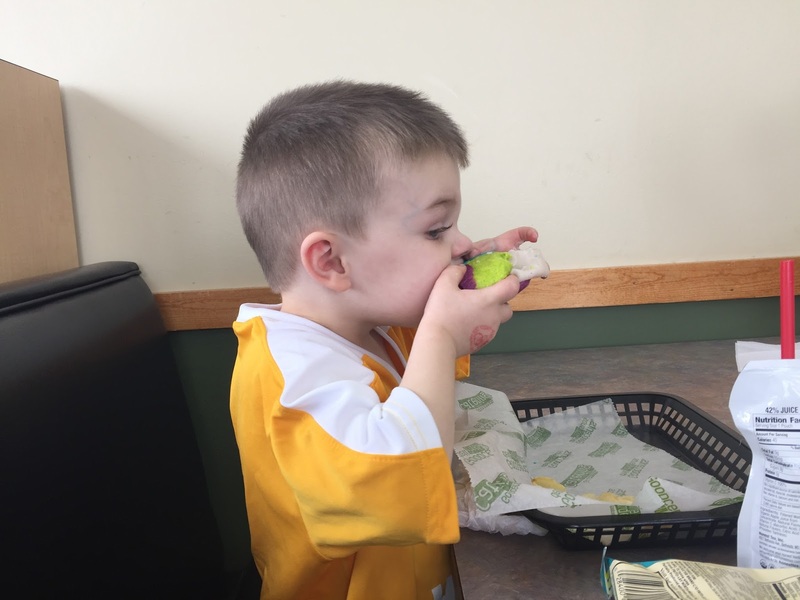 Eating healthy should start in a young age.